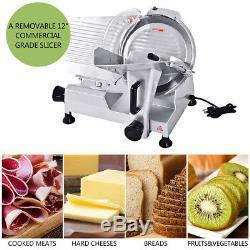 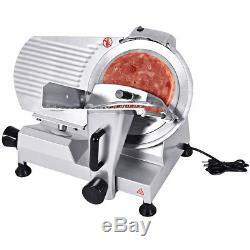 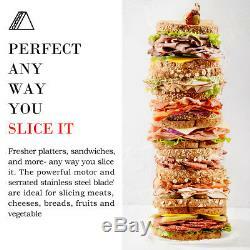 Description This Is Our Brand New 12 Semi-Auto Meat Slicer Which Is High-Efficiency And Energy-Saving. 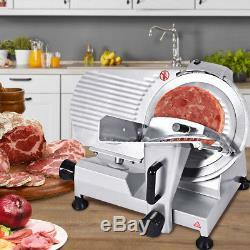 It Can Slice Massive Boneless Meat, Including Beef, Mutton, Venison, And Also Can Slice Cheese, Ham, Bread, Vegetable, Fruit And Other Food Up To The 0-0.59 Slices Without Breaking Down The Muscle Fiber Structure. 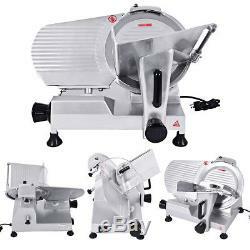 And It Is Easy To Clean And Is Perfect For Home Kitchens And Restaurants. 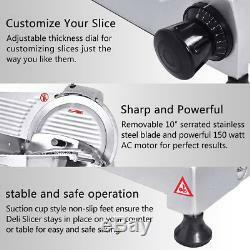 Feature Brand New And High Quality Semiautomatic Easily Slices Meat Vegetables, Bread And Cheese Sharpening Control Buttons For Controlling The Whetstones To Sharpen Two Sides Of The Blade Easily Fixed Device Handle For Pushing The Fixed Meat To Slice Moving Handle And The Fixed Device Handle Compose Of Dual Handles System To Slice Meat Effortlessly Slice Thickness Adjustable Fashion Tilted Design For Fast And Laborsaving Slicing Heat Output Holes Under The Meat Slicer To Disperse Heat Built-In Dual Whetstones For Sharpening Blade Safely And Conveniently ON-OFF Switch With Waterproof Cover Blade With Cover For Preventing From Injuries Easy To Clean And Maintenance Low Noise Level. 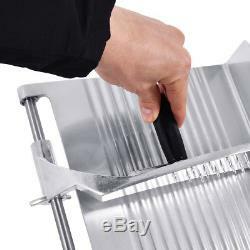 Overall dimension: 23''x18''x20''(LXWXH). 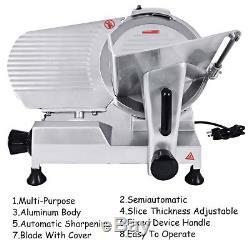 Voltage:110V/60HZ Power: 150W / 0.2Hp Slicer thickness: 0-0.59" Blade Diameter: 300mm/12" Weight: 48 LBS Package Include: 1 X Meat Slicer Machine 1 X Instruction Manual. 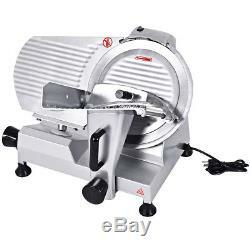 The item "New 12 Blade Commercial Meat Slicer Deli Meat Cheese Food Slicer Industrial" is in sale since Wednesday, February 1, 2017. 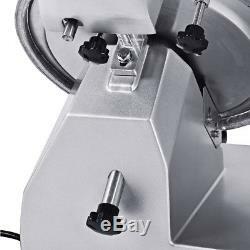 This item is in the category "Business & Industrial\Restaurant & Food Service\Commercial Kitchen Equipment\Food Preparation Equipment\Other Commercial Food Prep".